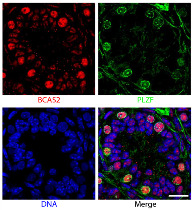 PMA and ionomycin stimulated BALB/c mouse splenocytes were stained with Rat Anti-Mouse CD3ε-PE (SB Cat. No. 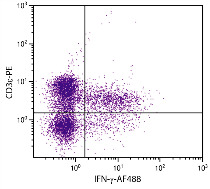 1535-09) followed by intracellular staining with Rat Anti-Mouse IFN-γ-AF488 (SB Cat. No. 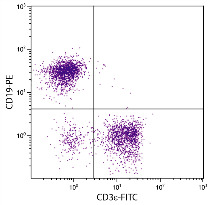 10240-30).